Enjoy the top 6 famous quotes, sayings and quotations by Himanshu Suri. I engage with New York and America but my parents pretty much hang out in this radius of Long Island where their friends are and where their work is. That's why you have people who have lived in New York for like 20, 30 years who don't speak English. They just live in a Chinese community or an Indian community. More than anywhere you'll find that in Queens. 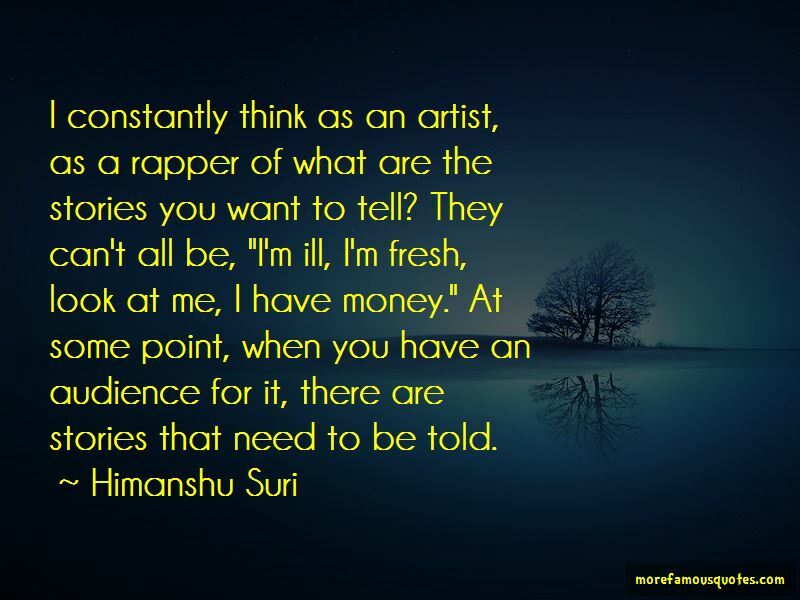 Want to see more pictures of Himanshu Suri quotes? 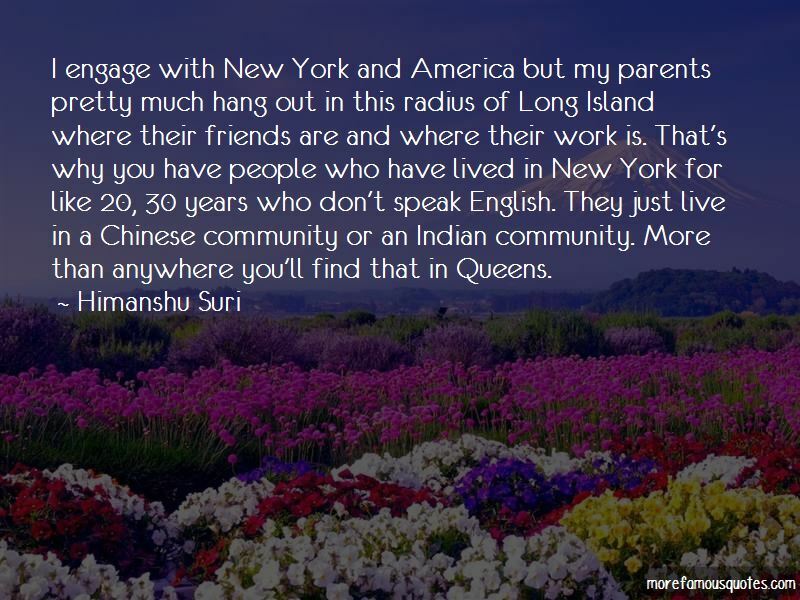 Click on image of Himanshu Suri quotes to view full size.